Through its bush stone-curlew project NCWG has encouraged fellow farmers to implement important on-ground works such as fox baiting, predator proof fencing, and the preservation and restoration of their remnant areas of grassy box woodlands. As well as on-ground works NCWG has carried out a widespread publicity and education campaign about the bush stone-curlew including field days, producing educational displays, brochures and stickers, and speaking to interested groups to help raise the general public’s awareness and understanding about the plight of these birds. The NCWG also carries out a bush stone-curlew captive breeding and release program, originally started in 2002 by Neville and Jan Lubke at Jindera. The breeding program involved breeding facilities at Jindera and Moulaemin in NSW, producing between 10 to 15 curlews for release each year. NCWG has partnered with fauna parks and zoos across Australia to release young curlews from our facilities, and their breeding programs, to supplement declining wild populations at Buraja and Moulamein in the Murray region of NSW. 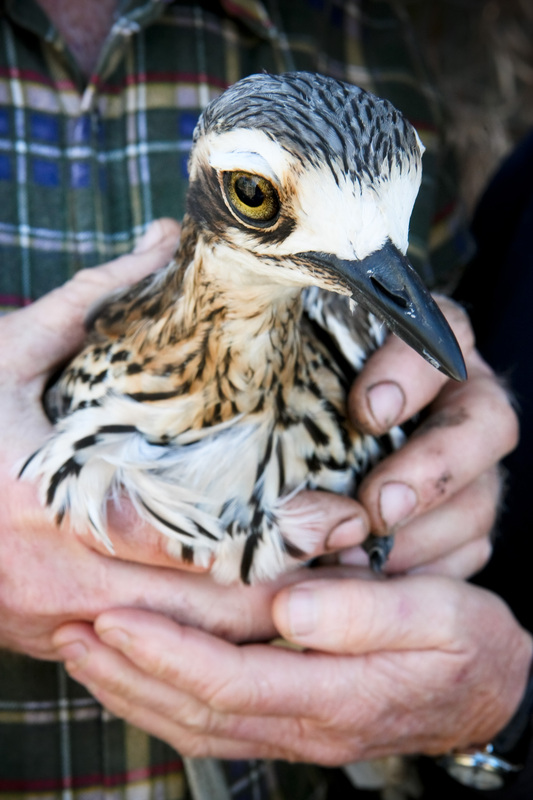 Young birds bred by NCWG have also been released through other programs including returning curlews to the ACT in Mulligan’s Flat Woodland Sanctuary, and a release by Australian Wildlife Conservancy on their properties in NSW and SA. NCWG carried out the first ever successful release of captive bred bush stone-curlews in October 2008, with a further eight releases carried out by NCWG since then. The release program has been extremely successful with the vast majority of released birds surviving and adapting well to life in the wild. The bush stone-curlew population at Moulamein is now much healthier and likely to survive into the future, thanks to the success of this project.